Ever since PTCbox, where the max auto cashout was $100, I've grown fond of making $100 cashouts everywhere I can. Another cashout. It was sooner than I expected, but I needed some LR to invest in Uinvest. How often do you get paid there? Well, my I posted my last three payment proofs here. So I was paid 9th february, 13th April and Yesterday. That's amazing, I wish I got such big payments too. It's kind of funny. Out of my most important sites, it's the one where it's the hardest to get referrals, so it was the one which grew more slowly. But because of that, it was the one where I invested less, so currently it's the only PTC where I reached ROI, which actually happened quite some months ago. 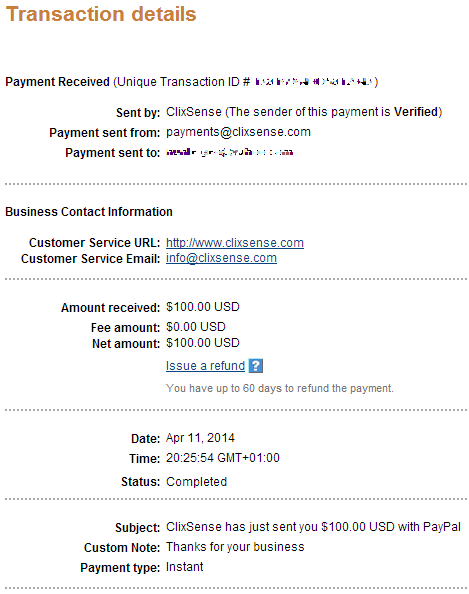 Here's the first payment of the new year. Cheers!